Ok, go with us on this one! 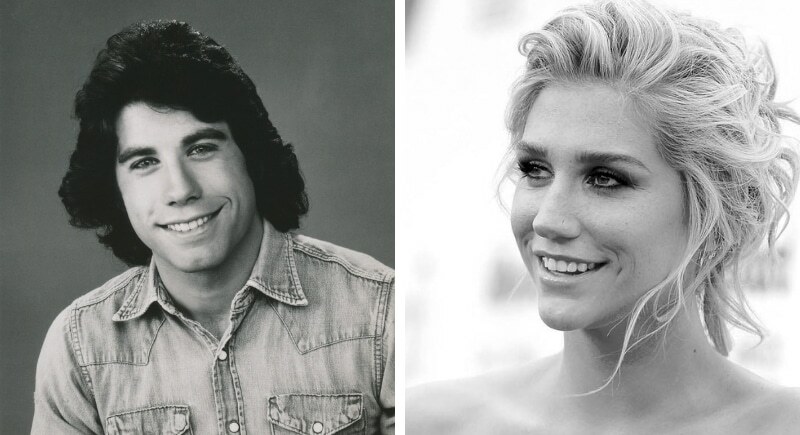 Actor John Travolta and singer Kesha both share a very similar face shape and structure that is defined and memorable. The two also share a strong jaw and smaller eyes. John Travolta has shown us in Grease just how well he can sing, so we’ll go ahead and start daydreaming of a duet between these two! Summer Nights, anyone? No doubt what connects these two stars are their startling and memorable baby blues. 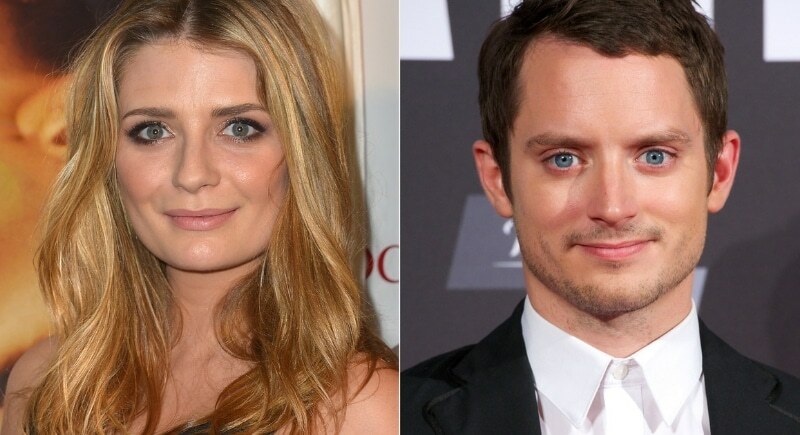 Actress Mischa Barton and Actor Elijah Wood both have delicate features that take the back seat while their eyes seem to do all the talking. Forgive us for this but can you imagine what a gorgeous child these two could produce?